READY, UP! Here Morton and the opposing team are fighting for the ball in a line-out. This is down when the ball is kicked out of bounds. Pack on me! Here a Morton Rugby player is running the ball, gaining field position. While he is running, a pack of 3-4 players should be behind him to secure the ball. Field advantage. Here Rodrigo Avelar is seen kicking the ball for field advantage. This is done to either get the ball away from their teams try zone or to get to the opposing teams try zone quicker. Scrum! 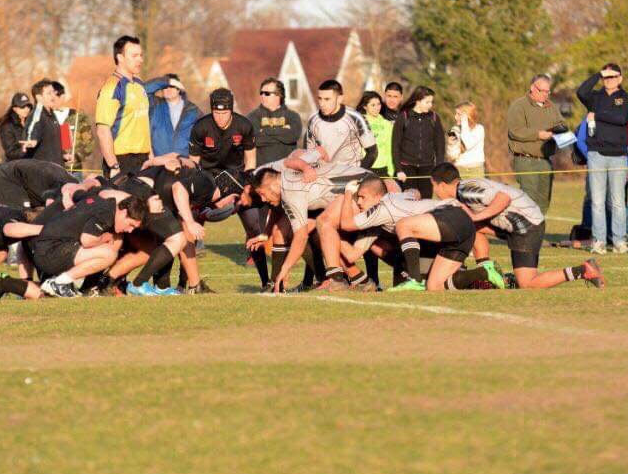 Here the forwards from the Morton Rugby Team are locking heads against the opposing team in order to restore a play. A scrum is created by the forwards getting together in 3 binding rows. Pre-Game. Morton Rugby is here doing their traditional pre-game. The team does this to hype up our team right before starting the game. 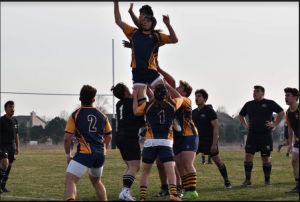 I think this is cool because I found out why certain things are done in the sport of rugby and the article showed me the type of teamwork that is shown when playing rugby with other people. Rugby is such a cool sport. 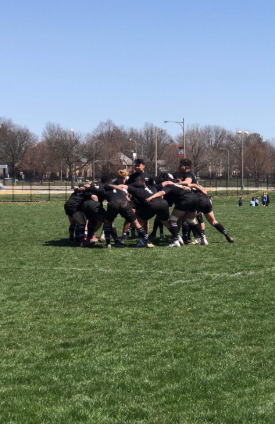 this article showed me different things that rugby players do to get point so i learned a lot. 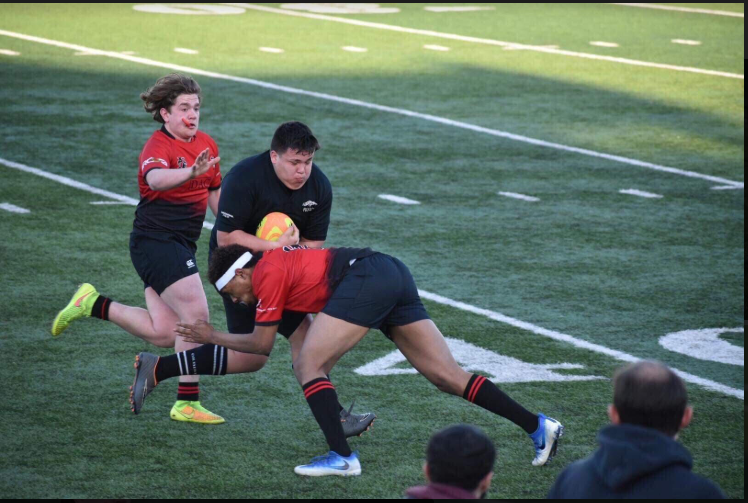 I believe this is a great way to showcase the many different attributes rugby has while having the picture symbolize how much fun rugby is and how it is enjoyed by many types of people. I am greatly influenced and feel more connected to this topic as I feel others are to now that this photo essay was published. Overall this photo essay is great for creating appeal to the topic. 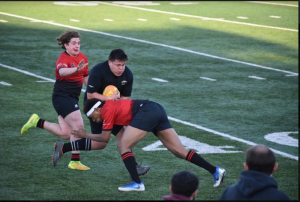 I think the Morton Rugby team is just as hard working as any team at Morton, maybe even more vigorous and tiring than most because they work out their whole body. The game seems very interesting and how theirs different aspects to it and how any play can turn the game around. Rugby seems like a really hard sport to play but also a really fun one. Our players are willing to risk getting injured due to the fact that their is not much protection or padding. I respect that they do all this for the pride they have for Morton.